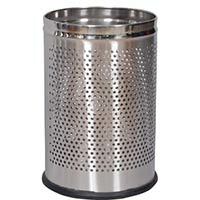 KC Green Revolution Private Limited is a one-stop destination to buy a range of Stainless Steel Dustbins. 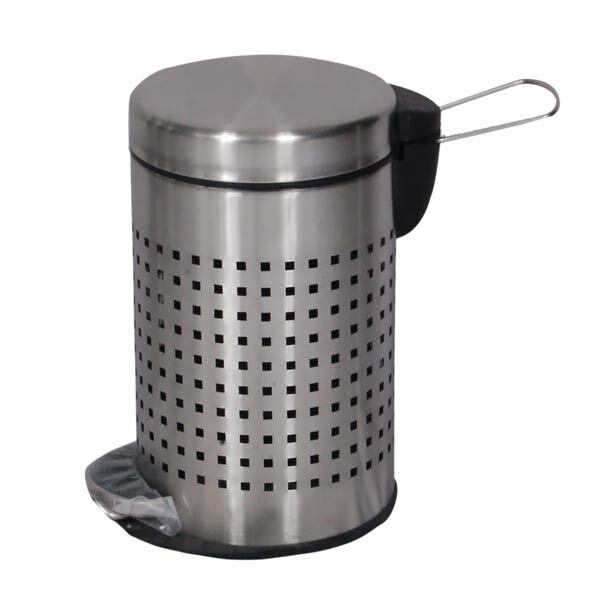 We fabricate different types of Stainless Steel Dustbins such as Stainless Steel Swing Dustbins, Stainless Steel Perforated Dustbins and Stainless Steel Pedal Dustbin. 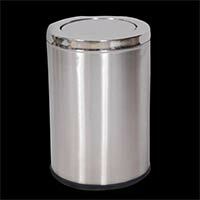 These Stainless Steel Dustbins can be purchased in various sizes and steel grades from us. Well-known as Stainless Steel Dustbins Manufacturer, Exporter and Supplier, we provide Stainless Steel Dustbins to buyers all over India, Europe, Middle East, USA, Sri Lanka, Australia, Africa, Kenya, Nairobi and Bangladesh. For centuries, people have been using metal made stuffs for disposing the unnecessary wastage, but because of some limitations like rust and break down, the need for stainless steel arises, which have better lasting, better look and free from rust and odor. The bins are no longer required to be painted as it has the stainless feature which gives a proper look all the time. Today the stainless steel bins are used extensively in the office premises, home, kitchen and in gardens as they are easily functional from any corner and as said are more decorative. 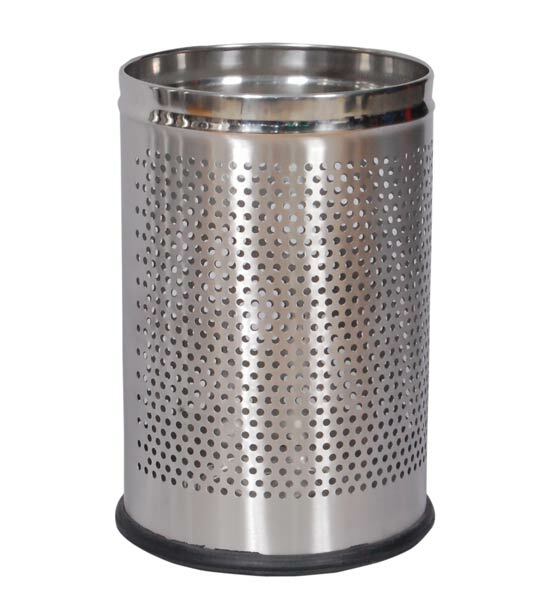 In stainless steel bins a range of design like , Pedal bins, Open Bins, Perforated bins, Swing lid bins, Ashcan Bins, Push cans, Large bins and Outer are pole hanging bins are available with us. Swing Dustbins : 8"x12" / 8"x24/ 10"x14" / 10" 24" / 10"x28" / 12"x24" / 12"x28" / 14"x24" / 14"x28" / 14"x34" /15"x30"
Push Can Bins : 5"x8" / 6"x10/ 8"x16" /10"x18" / 8" 28" / 10"x28" / 12"x28" / 12"x32" / 14"x28" / 14"x32"
Ashcan Bins : 8"x24/ 10" 24" / 10"x28" / 12"x24" / 12"x28" / 14"x24" / 14"x28"
2 Hole Lid Bins : 12"x28" / 12"x32" / 14"x28" / 14"x32" / 14"x 38"